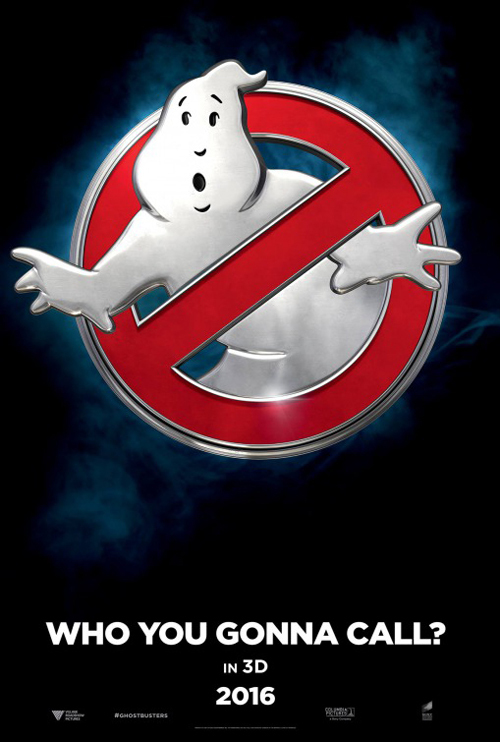 (SPOILERS) Paul Feig is a better director than Ivan Reitman, or at very least he’s savvy enough to gather technicians around him who make his films look good, but that hasn’t helped make his Ghostbusters remake (or reboot) a better movie than the original, and that’s even with the original not even being that great a movie in the first place. Along which lines, I’d lay no claims to the 1984 movie being some kind of auteurist gem, but it does make some capital from the polarising forces of Aykroyd’s ultra-geekiness on the subject of spooks and Murray’s “I’m just here for the asides” irreverence. In contrast, Feig’s picture is all about treating the subject as he does any other genre, be it cop, or spy, or romcom. There’s no great affection, merely a reliably professional approach, one minded to ensure that a generous quota of gags (on-topic not required) can be pumped out via abundant improv sessions. So there’s nothing terribly wrong with Ghostbusters, but aside from Katie McKinnon, who manages to be weird, goofy, and occasionally mocking in the Murray sense (but never in an actual “winking at the audience” sense, which may be where this gets the mixture slightly off), there’s nothing hugely right about it either. Kristen Wiig and Melissa McCarthy are fine, but dialled-down versions of themselves, particularly the latter, who doesn’t seem quite in her element when she can’t go off into some expletive- or obscenity-fuelled meltdown (a McCarthy possessed sequence should have been a comedy goldmine, but it’s disappointingly uncreative). Leslie Jones might have been given some good lines, but all I can remember is that her character is a glorified NY tour guide. As such, it’s difficult to banish the thought that she signifies the series repeating itself, the patronisingly-included African-American cast member who joins the team late and doesn’t quite fit. At least she does get some funny moments, though. Ernie Hudson is more memorable in 30 seconds here than in the entirety of the original, and fares best – such as these things are – out of the cast members’ entirely redundant cameos, which are generally flat (Murray, Aykroyd) or embarrassing (Weaver). The opening sequence, and the then trio’s first encounter with a ghost, suggests there may be some attempt at making a spooky comedy that’s actually comedic and spooky, but Feig quickly forgets about the latter (oddly, as ensuring an alternating current of frights and chuckles seems to be an entirely obvious, essential even, mechanism that shouldn’t need saying, but there you go; McKinnon freaking everyone out by eating Pringles is exactly what this needed more of, rather than running gags about takeaway). He’s also much less interested in keeping a grip on the storyline than seeing how randomly any given piece of improv can go off at a tangent – which occasionally yields great results (the “Mike Hat” routine is gloriously absurd), but adds to the feeling no one here is really invested in the subject matter. That’s only added to by the derivate villain (Neil Casey), who seems to be borrowed wholesale from The Incredibles, and a finale that is lethargically, noisily effects-driven, one that even has the cheek to attempt to inject an inert emotional arc when Wiig plunges into an Avengers void to rescue McCarthy (and as the final act in general shows, if there’s one thing that doesn’t mesh well with this kind of movie, it’s trying to mesh together “hero” moments; the only upside is McKinnon's put-down on their return, "It's 2040. OurPresident is a plant!"). There’s a brief burst of the proper Ghostbusters theme early on – very welcome – but it only underlines how horrendous the cover version is, and when Feig repeatedly assembles shots of the quartet in their hearse, about to go bustin’, as an uber-cool moment, one can only conclude that it isn’t, because it’s trying to overtly to recapture a cool moment, rather than conjuring its own cool (that the picture is absent any such moment emphasises how zeitgeist-unfriendly it is; the entire conversation has occurred outside its content, aside from the moment or two that has invaded that content). You also see this kind of playing to expectations elsewhere, in terms of Feig’s own filmography. Chris Hemsworth has been cited as this movie’s the Stat, a hitherto undiscovered, deadpan-genius essayer of idiots, but he isn’t nearly as successful, as Feig is too self-conscious about how he has found “the next Stat”. So Kevin’s role is beefed up into being possessed, and because Hemsworth can “do funny” we keep cutting to him doing some business with his glasses, or answering the phone like a dumbass, when that one thing he did the first time was more than enough. Besides which, the funniest exchange by far comes from Andy Garcia, who isn’t trying to be funny at all, accused of being like the mayor in Jaws. The effects are reasonable, particularly the redone Slimer and a couple of early spooks. Once we get to the full-on spectacular finale, it has devolved into a splurge of redundant CGI, of course, complete with the incredibly unwise idea of the Ghostbusters logo made demonic spectral force (if you really must give life to the advertising materials of the ’84 hit, the subway graffiti is at least inoffensive); Sony could have cut the conclusion and saved about $50m, considerable audience fatigue, and probably guaranteed profitability. An earlier sequence at a heavy metal concert is much more effective, at least for eliciting some germane gags (alas, Ozzy Osbourne just has to show up to, which says as much about the quality bar here as you need to know). The increasingly tedious discussions about this being a female reboot, and the polarising opinions thereon (the “Ghostbros”) that have ensued, have been great for a perpetual motion machine of media headlines (the latest being Jones’ Twitter abuse). Which has meant that’s all the conversation has been about, and thus, that’s all the review conversation has been about (The Guardian, as a self-appointed Misogynist-buster, ladled out four different reviews, amongst their numerous think pieces); discussion of the movie becomes tangential to rallying behind the nominal progressiveness of the moviemakers. As such, part of the issue is that nothing has convinced anyone (leaving aside the very vocal denouncers, who wouldn’t be swayed anyway) that this was something to see, even after critics started giving it “It’s okay, actually” reviews, since saying “It’s okay, actually” is damning with faint praise. It is okay, actually, because most of Feig’s movies are okay (and, on that score, it comes in below Bridesmaids and Spy, but above The Heat), actually, not because it’s a particularly good Ghostbusters movie. What this reboot needed was more of the kind of leftfield, anarchic energy the glorious McKinnon brings to bear (interestingly, she seems to elicit Marmite responses, which on balance is probably a good thing for a comedian to be able to boast; if they ever decide to do a female Marx Bros movie – I don’t even know what I’m saying here – she’s a shoe-in for a horn-honking randy Harpo). What Ghostbusters ‘16 has got is being a geek property where the makers aren’t terribly interested in that geek property, and are more emboldened by responding to their critics from within the frames of the movie (which has been met with positive affirmations, but it’s less “clever satire” than rudimentary defensive posturing, feeding the monkey) than getting on with making a good one. The original is a classic. I remember when it came out, everyone was in awe of the special effects. May want to revisit some of what you have written.